Spill Plates and general aerodynamics. Re: Spill Plates and general aerodynamics. Some boats use them some don’t. Depends on how much top wing area. On boats with them built into the design it keeps the front end (boat going straight). I know others who have removed them from their boat and the boat handled terribly after and they had to put them back on. Now keep in mind what air molecules do at subsonic speeds against pointed and rounded objects. Air flow around rounded surfaces is smooth where as on pointed surfaces it is turbulent. Hence the ram wing leading edge can have a big effect on how much and how the air flows over the top of the boat and into the tunnel. Rounded sponson tips versus pointed ones. 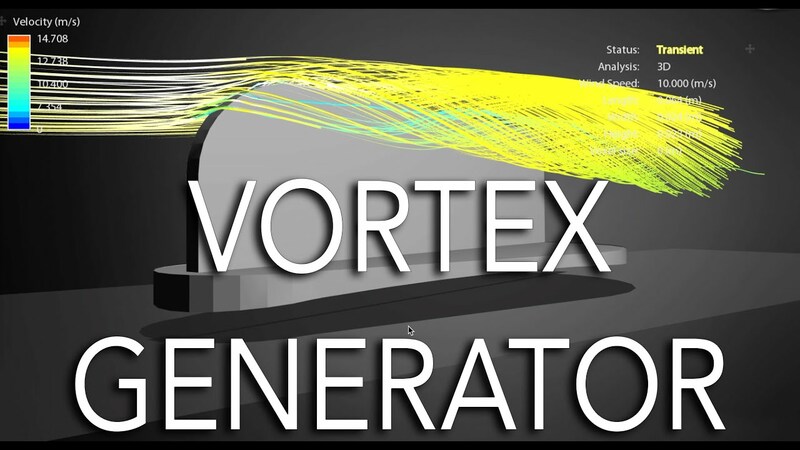 Vortex generators serve the purpose of delaying airflow detachment from a surface (stall). You'll often see them on STOL aircraft as it helps with high angle of attack flight regimes, or to increase flap effectiveness, etc. Unfortunately, they also create drag, so speed performance can be affected. Spill plates (also called wind fences) I believe also serve some structural function as well by adding rigidity to the frame from vertical flex (I may be wrong on that, someone who is a builder could probably answer that better). From an aerodynamic perspective, their function should be to minimize lateral flow of the air as it crosses the airfoil of the body. On aircraft, as the air flows over the wing, there is a tendency for the air to want to flow horizontally off the wing tips (span flow), and this lateral movement is one of the forces that create wingtip vortices. Vortices cause drag, so there has been a lot of study put into creating different aircraft wing tip shapes or adding winglets to try to counter span-wise flow or to at least delay vortex generation, pushing it further behind the aircraft to minimize drag. In terms of a hydro, I also see them acting as a wind vanes (kind of like throwing an arrow backwards) since our boats don't always travel perfectly straight and even relative to the wind. I don't think there's enough adverse effect there, though to cause the boat to windmill awkwardly. Size, placement and, of course, speed of the boat matters. There's an optimum angle of attack, usually quoted at 3-4 degrees, for best performance. Go below that you get increased drag from more of the boat touching the water, exceed it and you are pushing more air, which causes drag. There is absolutely more of the boat in the water than just the prop. It does vary, but you expect the last 1/4 of the boat or so to be in the water. The only time I've ever seen just the prop in the water is when the boat gets airborne in rough conditions, or hits a roller, etc. (and sometimes all of it comes out of the water). There is also the air traps that will provide some directional stability, albeit minimal in comparison with other aspects of the boat. Flying the nose is typically a function of driver placement in the boat...move rearward on the straight to get the nose light to assist in lifting it. Some boats have a heavy front and even moving rearward won't get the nose up much, some boats are really light in the front and it becomes a bit of a balancing act for the driver. The optimum angle of attack (AOA) of 3 to 4 degrees noted by Ram 4x4 of the boat and the rear planning surface relative to the water can be visualized on a running hydro with the sponsons off the water. Ex: on a hydro with a 70 inch afterplane and a 2 inch sponson depth the minimum AOA with sponsons touching the water is about 1.6 degrees. Flying the boat with sponsons 2 inches off the water the AOA is about 3.3 degrees right in the 3 to 4 degree range. This 3 to 4 degree rule is dependent on the hull design and speeds, higher speeds like Pro boats use a lower AOA. The optimal AoA for lower speed planing hulls is 3 to 4 degrees. For boats like this it isn't that high. What happens to small hydros and runabouts is that the hull is actually running on the tops of the ripples in the water and there is a good bit of trapped air passing under the hull. Anyone who's run on glassy smooth water can tell you, without some "ripples" in the water it's hard to get best speed. At lower speeds the boat acts like a conventional planing hull. As you go faster the depth of planing starts to get close to the depth of the ripples on the surface. Think of the ripples as sine waves. If the depth of planing (without ripples) would be equal to 1/2 the peak to peak ripple height, you get sufficient momentum (lift) from knocking the tops off the ripples and filling the valleys. If you go faster than that, you have less planing depth and you enough lift, but there isn't enough water to fill the valleys, and now you have air passing under the hull which reduces the drag. At this point the hull starts to "break out" and classical planing equations don't apply. On lots of boats you can feel this as the boat seems to pop up and just keeps going faster. At this point you are running on an emulsion mix of air and water, which has much lower drag than just water. For hydros most of the lift is created by both trapping air under the hull and some lift is created by air passing over the hull topside surfaces. The air flowing over the top of the hull of a hydro is pretty complicated as it relates to the air flowing around and over the sponsons. The air entering the tunnel is much less complicated. Air is stagnating in the tunnel and most of the flow between the sponsons actually flows over the lip and down the sides between the fences and the cockpit. Since this is a pretty high velocity, it can create a good bit of lift in the area between the cockpit and fences. If you don't have the fences the flow coming out of the area between the sponsons can trip and create a vortex, which eats up a lot of power (drag). The fences don't provide lateral stability. In fact, since they are ahead of the center of gravity they actually are destabilizing. But if you have a vortex over the top of the hull, the vortex can be unstable, and that could move the boat around a good bit. Whether you get lift from the area between the cockpit and the fences is very dependent on the shape of the lip at the leading edge of the tunnel and the AoA of the boat. If it is sharp you will stall the topside early and not generate much lift, if you have a rounded lip it will generate more lift to a higher AoA. But if you have a very round lip it won't stall and you have a better chance of blowing the boat over. If it is sharp you won't go to a very high AoA and it will stall before you blow over. The observation that the faster boats were running at a low AoA is because the higher you run the larger the frontal area of the stagnated area under the hull becomes and this increases aerodynamic drag. Obviously there's a tradeoff between aero drag and hydrodynamic drag, but the faster you go the more lift is created under the hull and the less you need to raise the nose to create the necessary lift. What about the pieces the depth and length of the sponsons on Wartinger's kilo boat. Who was the designer ? It seems the boat rides higher than kilo boats have been doing for the past few years. The boat Bob used to set the UIM OSY record with was an old race boat, I believe originally built by Ed Karelson with edits from Don Anderson and Darrell Sorensen. The other kilos boats that Bob has recently run are designed in conjunction with and built by Darrel. But really, all this aero mumbo jumbo talk - who really believes all that?! This is a very interesting topic. Lots of food for thought discussed already. I found these two videos about Vortex generators very informative. Great video's. Now the discussion has brought in boundary layers and some real aerodynamics. This is were I was hoping it would go. Now, thinking of the hydroplane's hull as a very long wing cord with a very thin airfoil shape and extremely short wing span ( super inefficient) highly susceptible to stall. This is where I believe the spill plates are ineffective and different aerodynamic elements would work better. Vortex Generators are far more efficient and could be made even more so for a hydro with a couple of tweaks......thanks so much for everyone's input. Please speak your mind's on this topic and since boat racers are not snow flakes you can speak your mind, it is all important. The ratio of the span to the chord is the aspect ratio. Very high aspect ratios decrease induced drag for the same lift coefficient (this is why they are used on gliders and high altitude aircraft), but as speed increases their parasitic drag goes way up too. Low aspect ratio wings have higher induced drag, but induced drag decreases with speed (and parasitic goes up, but at a lesser rate than it does on high aspect wings). Obviously, a hydro is bound to a low aspect ratio. However, even with all that, how the hydro's airfoil shape helps totally diverges from how a wing works. A hydro doesn't get the nice, smooth flow across both the upper and lower surfaces of the airfoil since part of the rear of the boat is still in the water. You're packing the underside air up under the rear portion (unless the boat goes fully airborne from rollers or choppy surfaces), but that is brief. The air is also spilling out from the sides of the bottom. The "lift" on the front of a hydro at the speeds we run is primarily from dynamic lift. The literal force of the air hitting against the underside of the front of the boat. This is why a hydro will "fly" if the nose angle gets too high. It's not due to the airfoil at all (because beyond about 10 or so degrees of AoA, the entire thing is "stalled"), but rather the dynamic force of the air just pushing it up. It's the same effect as traveling down the highway at 70MPH with a sheet of plywood on the roof and have it lift up and blow off. Both the plywood and the boat will, more or less, want to summersalt. Actually, the whole premise that airfoils generate lift because of the low pressure above the wing caused by the air having to move faster due to the longer distance it has to travel...is false. If it were true, then a symmetrical airfoil would not generate lift, but they do. Airfoils generate lift because they change the direction of the air flow from horizontal at the leading edge to a downward vector at the trailing edge (downwash). Newton's law says that because a force acted on the air to make it go down, there is an equal, and opposite force, which translates into lifting the wing up. There is also the noted pressure differential between upper and lower, and it does contribute to lift also, but it's not created the way it's been taught for so long. That lower pressure over the upper surface has nothing to do with the speed of the air being faster because of a longer distance over the airfoil top. It is because there is a speed difference between the air flow and the boundary layer air on the top, so it does create a low pressure bubble due to the Bernouli effect of those speed differences. The air under the bottom is compressed (colliding with the underside...dynamic pressure), so there is the pressure differential that is always noted, it's just not created the way so many have said for so long. A flat plate will also generate lift, it just needs a higher AoA. It too will generate the low pressure bubble on the top and the dynamic pressure on the underside. If you've ever seen some of the foam r/c planes being made, most of them have no airfoil of any kind, the wings are just flat slabs of foam (and they don't even round off the leading edge in many cases). They fly perfectly fine. Paper airplanes fall into this category too. Interesting but not exactly true. A symmetrical wing (same shape on top and bottom) flies because of the angle of attack. Most aerobatic planes have symmetrical wings so they can fly as well right side up or upside down. They still use Bernouli's principal to fly, (high pressure on bottom, low pressure on top). The plane flys due to the angle of attack and not due to any deflective force. The best way to prove this is to see how any open wheel race car uses and airfoil shape on the bottom of the body. It is essentially an upside down wing that fly's at speed straight down. The downward force helps the cars stick to the track so they can corner at such high speed. There is no deflection force here at all. Again, the plywood wants to fly off the roof of a car because the pressure on top is lower than solid roof on the bottom. Once it starts to separate from the roof air gets trapped under it and it starts to oscillate until the rope breaks or comes undone and like any loose object it leaves the roof and tumbles to the ground. A pitcher can throw a curve ball because the pressure on one side of the ball is higher than on the other side of the ball. The pitcher does this by spinning the ball as he throws it. So one side is going through the air faster than the other side because of the velocity of the spin. This stuff is easier to see if you do a search on how does a curve ball curve. Another force which is acting on a hydro is what is known as 'Ground Effect' Airplanes also experience ground effect when landing. There are even flying boats that use ground effect to cruise completely out of the water yet never break out of ground effect and take off like and airplane mostly due to the very short wing span and horsepower that is to low to do so. These flying boats date back to WWII. There is a certain amount of deflection lift acting on an airfoil but it is very unstable and inefficient. Not true, Dave. For example, your curveball, the curve is AWAY from the higher speed side. By your example, the ball should curve into the higher speed spinning side because of the lower pressure, but it doesn't. A ball curves because of the Magnus effect. AoA absolutely plays a part in the symmetrical airfoil (and in all airfoils), by having an AoA, even slight, it does exactly as I explained, the downwash, or redirection of the air flow. If you think about it, that makes sense, by tilting the wing (AoA), you are changing the direction of the airflow. If AoA and airfoils don't redirect air, how then is there prop wash behind a spinning propeller? Even NASA agrees with this theory too (https://www.grc.nasa.gov/www/k-12/airplane/wrong1.html). It's also important to note that the classical theory is wrong in another area: the air does not speed up over the upper surface in order to meet with the underside air at the same time, this is known as the &quot;equal transit&quot; theory and is used to support the idea that a lower pressure is generated on the upper surface because the air has to speed up in order to meet with the underside air at the trailing edge at the same time. 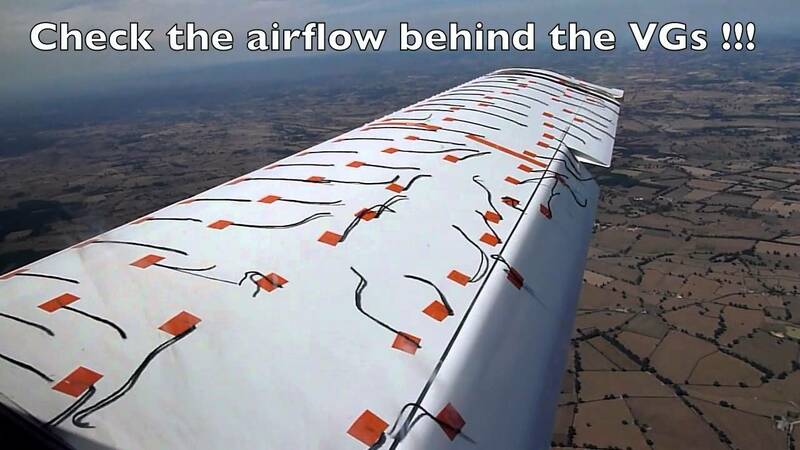 In reality, the upper air can actually reach the trailing edge before the underside air depending on the airfoil shape (https://www.youtube.com/watch?v=UqBmdZ-BNig). Bernoulli's principle does apply to a wing, just not in the way it is classically explained. In the case of a race car, we are creating a much lower pressure zone underneath because the air is sped up, due to the cambered airfoil surface which gradually lessens the vertical space from the leading edge through the central area in relation to the track surface. The air speeds up to try to squeeze the same volume of air through a smaller area...bernoulli. It squeezes it because the track surface is not compressible, or able to expand downward to accommodate the squeezing of the air. In the case of the plywood, it is exactly the air getting underneath and pushing up on the plywood that lifts it...dynamic lift. Once it starts to lift, it is exposing more surface to the continued pressure and it wants to keep lifting. Once it achieves a certain AoA it too will create the lower pressure bubble due to the speed difference of the air over the top and the boundary layer. This just helps it to lift even more. Ground effect is due to the wingtip vortices unable to completely form, the air that would normally roil back and down into a vortex is compressed under the wing (and so is the air), it creates a cushion of sorts. Ground effect also reduces induced drag (incomplete votices), which is why ground effect craft can float along just above the surface with less power. As for a hydro, the effect is less classic ground effect and more dynamic related since we don't get full flow across the underside surface. The largest ground effect aircraft ever made was the Russian Ekranoplan (known as the Caspian Sea Monster). Something I’ve wondered about since my kids started racing and I’m interested in the many designs I see at races. My sons hydros are two different designs, one with spill plates and one without. My question has to do with the spill plate effect in cornering when the deck and sponson sides enterr into an angle with the oncoming air at the beginning of a turn when the hydro is still carrying speed from the straightaway. When a hydro enters a turn, does having spill plates vs not having spill plates have an effect on how the air flows across the top deck at an angle in the turn? Or is it mostly turn fin and bottom design being the major factor for controlling the air at that point? Spill plates can change handling. At least in my B&H anyway. After a minor altercation where the front of my boat was relieved of said plates, it was much more squirrelly both in a straight line and especially so when entering a corner. It was much harder to set it, even with the giant turn fin that I run. I know planes do not fly very well without their vertical stabilizer, and neither did my boat. Do they cause extra drag? Maybe. Did it drive worse without them? Yes. The spill plates or also known as air guides are great for forward stability (they reduce left right yaw) but in a turn there is a side force on them that deflects the air flow with a push in them in the direction of the turn (left in our case). They also spoil the air cross-ways over the deck in the turn and the bow usually goes down some. This depends on the height of the guides and their length. Driver experience with the boat definitely needed here. Something Ive wondered about since my kids started racing and Im interested in the many designs I see at races. My sons hydros are two different designs, one with spill plates and one without. My question has to do with the spill plate effect in cornering when the deck and sponson sides enterr into an angle with the oncoming air at the beginning of a turn when the hydro is still carrying speed from the straightaway. I ran a j/ax ash /200mod hydro with spill plates for 3 seasons and never felt insecure (or was tossed )except for a few times Blu / white flags went up as we left pits with wind . I restored a shorter , non spill plated hull and ran 5 races before having it snap roll and spit me out. Not a fair before and after as the 2 nd hull was less than 8 ‘ , super light and flat on deck, but the name “ Wobbly Gobblin’” came to mind after a few races. In the straight I definitely could feel the lack of directional stability. Turns were not any different though possibly faster. I’m ready to add them but won’t make them large like Csh. Do lexan to test , screws and silicone will let you try it. Ed said they sold boats......but I still think they are worthy. Ed Karelsen most likely was one of the first builders to use them on outboard hydros....... He was doing it in the early 1970’s. It seems we have a difference of opinion. This is a good thing and so are the articles you have posted. Lots of learning going on which can only be a good thing. I love a spirited debate because I always learn something. What happens in a turn with all the side force? All times are GMT-7. This page was generated at 03:39 AM.